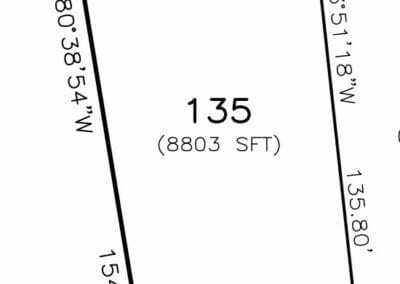 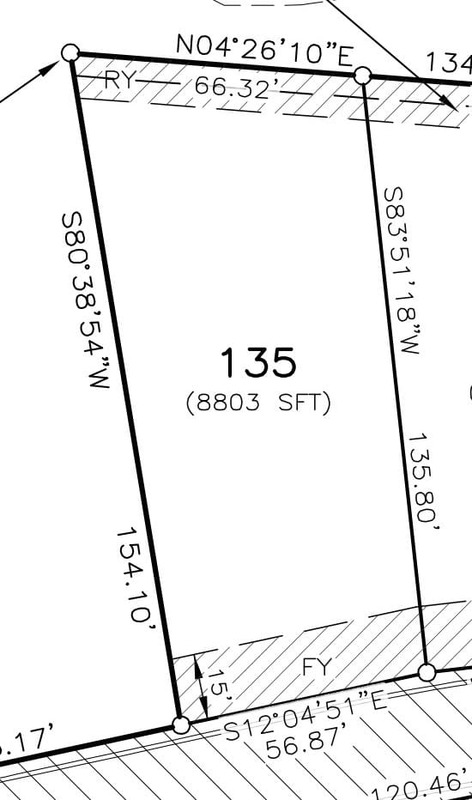 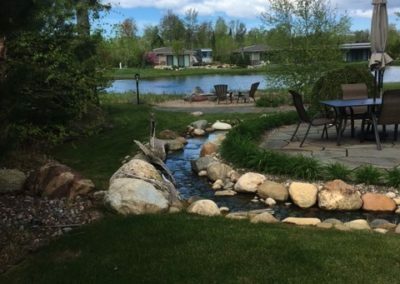 Pull into lot 135 and start relaxing on this one of a kind property situated at 8,803 sq. 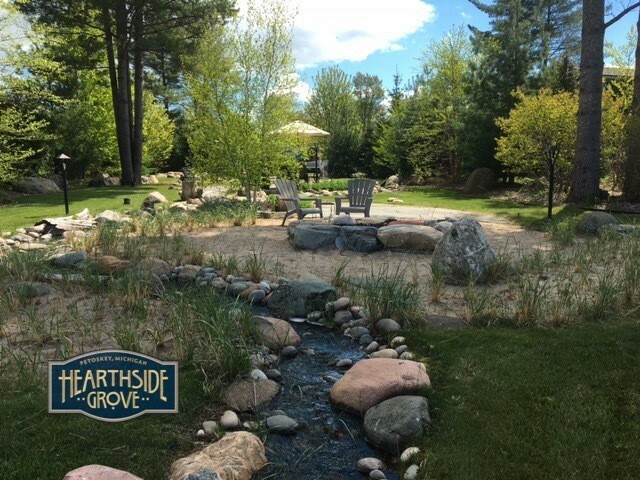 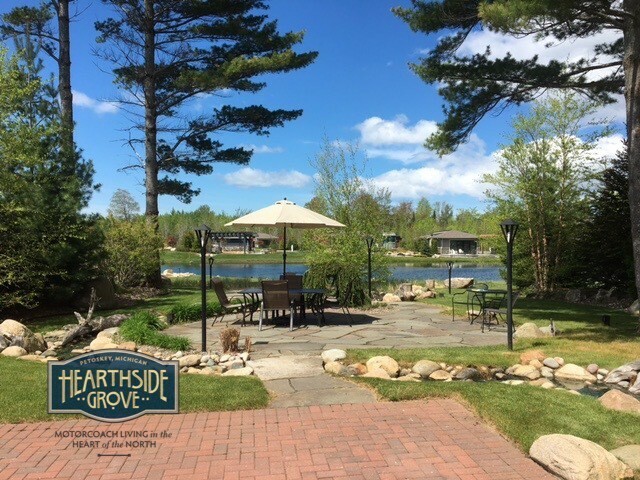 ft. and on the shore of the largest pond at Hearthside Grove. 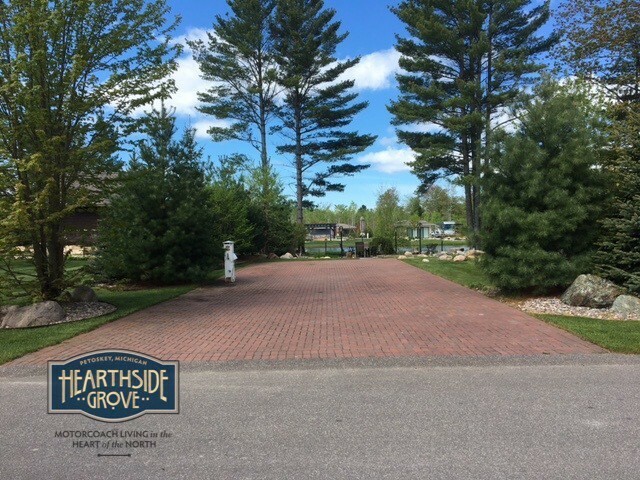 A beautiful and spacious pull-in lot that offers mature landscaping providing privacy from the road and adjacent lots, allowing you to enjoy a great view of the beautiful surroundings highlighted by the accent landscaping and recirculating stream that flows effortlessly throughout this well maintained lot. 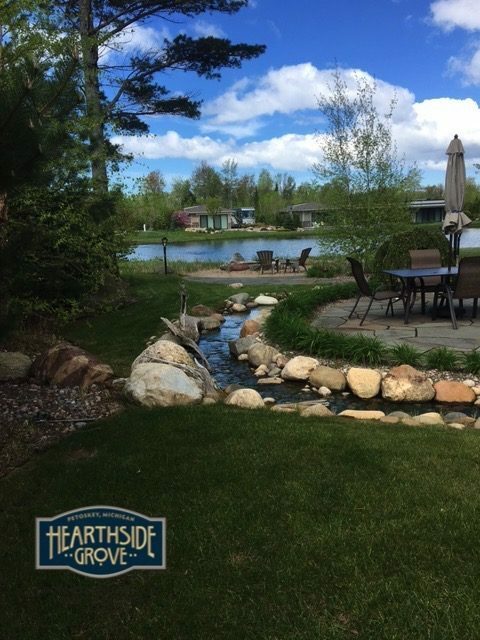 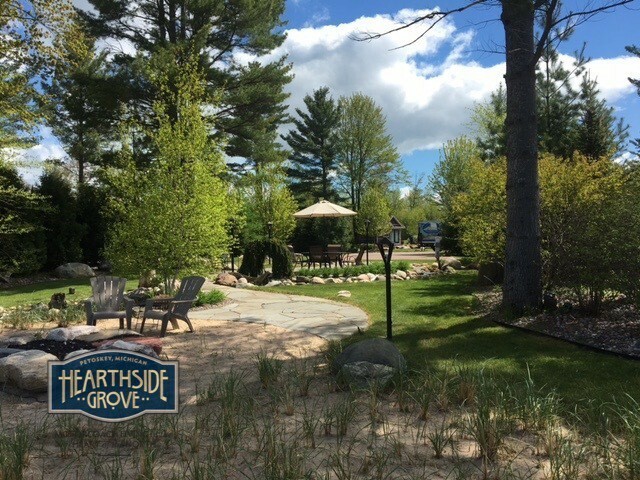 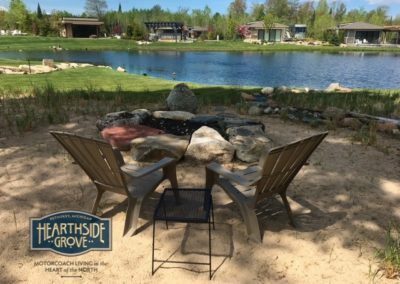 At the waters edge you will find a sandy beach area featuring a oversized natural gas fire feature inviting you to enjoy a glass of wine with friends while catching another beautiful Northern Michigan sunset. 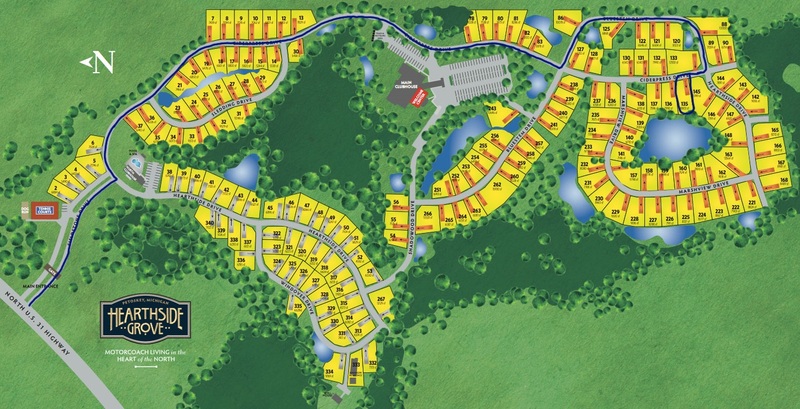 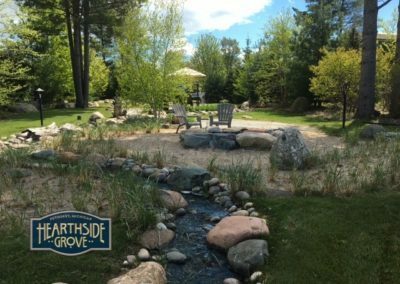 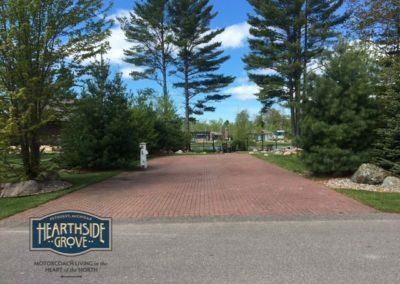 * This publication is not intended to represent exact features or proposed amenities of the Hearthside Grove Motorcoach Resort. 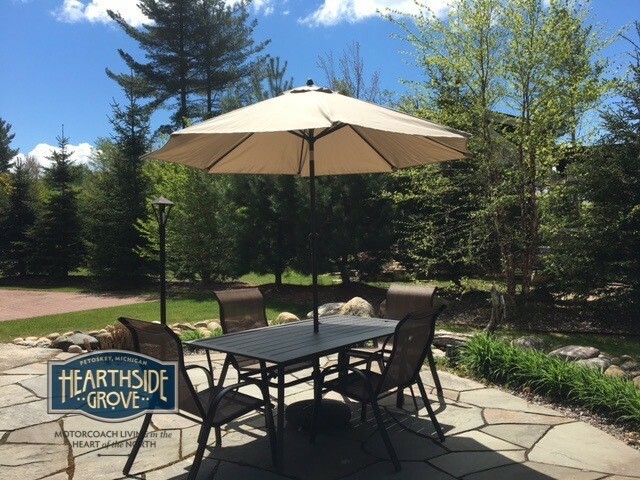 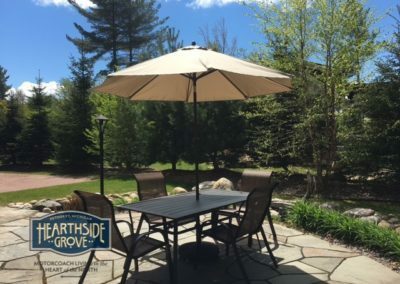 Nothing in this publication shall be considered to be a solicitation to do business or any activity requiring a real estate license in any state in which Hearthside Grove is not permitted to operate in this capacity. 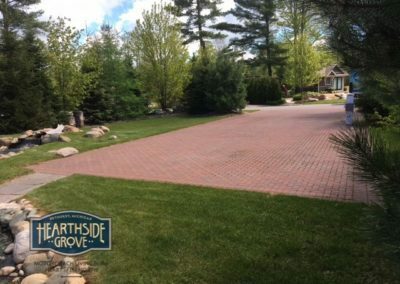 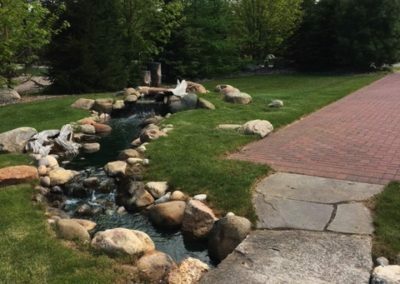 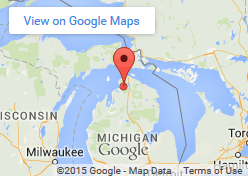 The developer operates only through a broker licensed in the State of Michigan and all sales inquiries should be directed to the Michigan office at 1-888-Grove88. 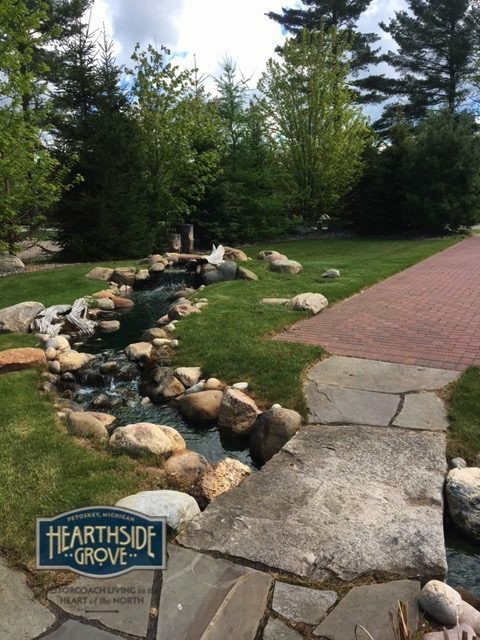 PLEASE NOTE THAT NOT ALL AMENITIES SHOWN IN THE PHOTOS ARE AVAILABLE TO RENTAL GUESTS. 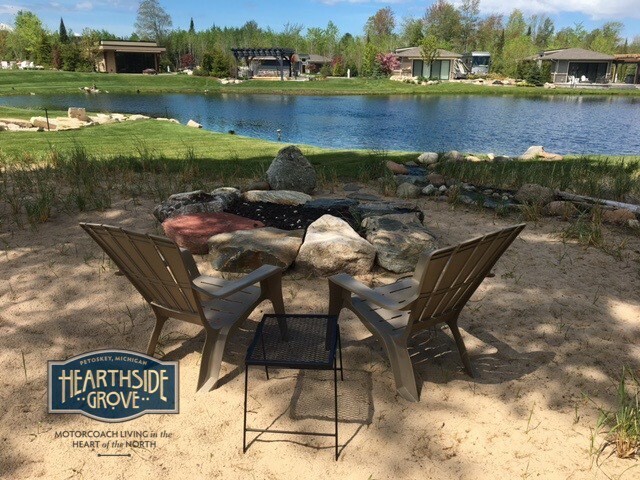 BUNGALOW INTERIORS ARE NOT A PART OF RENTAL UNLESS OTHERWISE NOTED AND ANY AMENITY LIKE A FIRE PIT, OUTDOOR KITCHEN OR WATER FEATURE SHOULD BE DISCUSSED WITH A RESERVATION AGENT TO BE CLEAR ON WHAT ITEMS ARE INCLUDED WITH YOUR STAY.